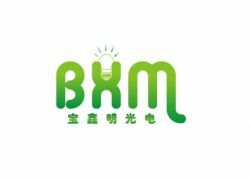 SHEN ZHEN BOXIMIN LIGHTING is the high-tech enterprise which devotes to R&D, manufacture, marketing and service. Our factory covers an area of 3000㎡, and our main products are LED tube light, bulb light, plane light , ceiling light and spotlight etc, .As a leading supplier, we are always devoting to providing commercial, public, industry and home lighting products with more environment-friendly and lower consumption We have a set of advanced test and detecting equipments and have established several automated production lines for assembling LEDs, it can reach up to 6 million sets per year . And our company gathered many experienced technicians and talented manager, who are skilled in R&D and production.Until now our company has passed the ISO9001:2000 , and all of our products are approved by CE, RoHS and C-Tick.And our partners are all over the world such as Europe and American, Mid-east and all over China. We pursue philosophy of "honesty, practicality, innovation, high-efficiency and win-win business", The purpose of our company is "taking the market as the guidance, quality as life, brand development, customer satisfaction as the core" devoting to lighting up the world and promoting the development of low-carbon LED industry. We are looking forward to more cooperation with our high quality and best services.